Machine learning and AI have undoubtedly been among the most dominant tech trends in the ASEAN region in 2018 so far. From personal experience, most of the events we have covered have had at least some mention of the technology. Although machine learning is by no means new, it is now well on its way towards becoming mainstream. Experts such as Deloitte have gone on record to predict that the business use of machine learning will double in 2018 compared to the year before, and double again by the year 2020, with enterprise applications such as voice recognition, natural language processing (NLP) and fraud detection truly picking up in the coming years. Even Google has seen the growth in demand for machine learning and AI, so much so that they have made these areas of technology the main focus for this year’s Cloud OnBoard event. Cloud OnBoard is Google’s free instructor-led training event held in various locations worldwide that aims to provide attendees with a technical introduction to the Google Cloud Platform. Speaking at a media roundtable during the KL leg of the event, Google Cloud Asia's Head of Solution Engineering, Anish Malhotra, mentioned that Google Cloud Platform provides a way for organisations, be it startup, large enterprise or government, to take advantage of Google’s investments in infrastructure and data processing innovation over the last 20 years. According to Anish, customers are moving to Google and they’re moving really fast due to Google’s commitment to innovation and openness. As we have said before, although Google is playing catch up with the likes of Amazon and Microsoft in the cloud space globally, they are quite popular in Malaysia and the region (winning our own DSA Awards twice in a row, for example) and thus APAC has become a very important part of their cloud business. For that reason, he said, Google Cloud has built large teams in Malaysia and the region because of the significant interest in the technologies, especially when it comes to machine learning and AI. The cloud continues to evolve and today, it is about offering managed services to provide completely elastic storage, processing and machine learning so that organisations can invest their energy in great apps. However, he also admitted that although the adoption of the cloud in Malaysia is growing, it is still nowhere near maturity. The media roundtable featured several local companies that have employed machine learning through Google Cloud Platform to greatly improve the end-to-end performance of their operations as well as customer experience. Malaysian telecommunication company, Digi, for example, built their own chatbot in-house to deal with customer enquiries more efficiently. 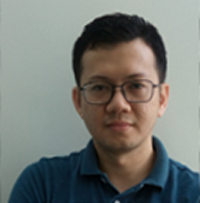 According to Digi’s Head of Digital Exploration & Design, Tan Siew Meai, Digi’s exploration team, with a background in programming, was able to self-learn the required programming and coding skills to build the chatbot with support and help from the Google team. So we asked the representatives of the companies present, like Digi, AirAsia and MUV Marketplace, why they chose Google for their cloud and machine learning needs over the other cloud vendors. Besides the continuous support, infrastructure and innovation that Google has to offer, they mentioned the price and Google’s ability to deliver great performance at scale as some of the deciding factors for them. Indeed, one of the things Google is most proud of is the CloudHarmony recognition that it has received for having the highest reliability in the industry. What’s certain is that Google is committed to its cloud platform and has invested over 29 billion dollars over the last few years. But with great rivals such as Amazon also spending record breaking amounts of cash on R&D, things are definitely heating up in the cloud space. Whether Google will be able to challenge Amazon’s dominance, only time will tell. But they’re definitely doing the right things and investing in the right technologies to win more and more customers over.